Sutherland Shire Environment Centre directory Lyn McLean (right) was excited to present the inaugural Eco-Savvy Awards. Pictured here with Highly Commended Cheeky Wipes. 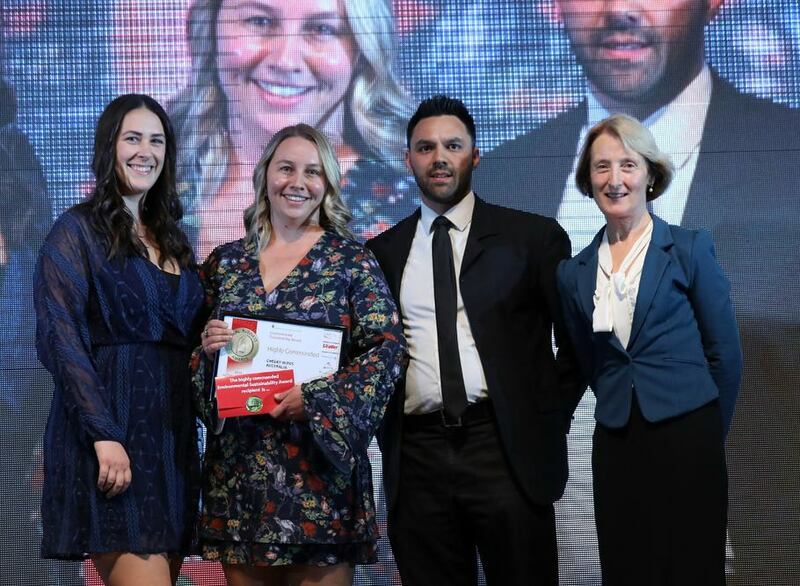 Congratulations to Cheeky Wipes Australia, highly commended in the Sutherland Shire Environment Centre’s Sustainability Award, presented at the Local Business Awards on 22 August. Cheeky Wipes is making a difference to the mounting waste issue by providing reusable cloth baby wipes as an alternative to single-use baby wipes that are creating problems by clogging sewerage systems. The company aims to help people reduce their negative impact on the environment by providing reusable coffee cups, bread bags, lunch wraps, cloth nappies, reusable swim nappies, stainless steel products, bamboo toothbrushes.